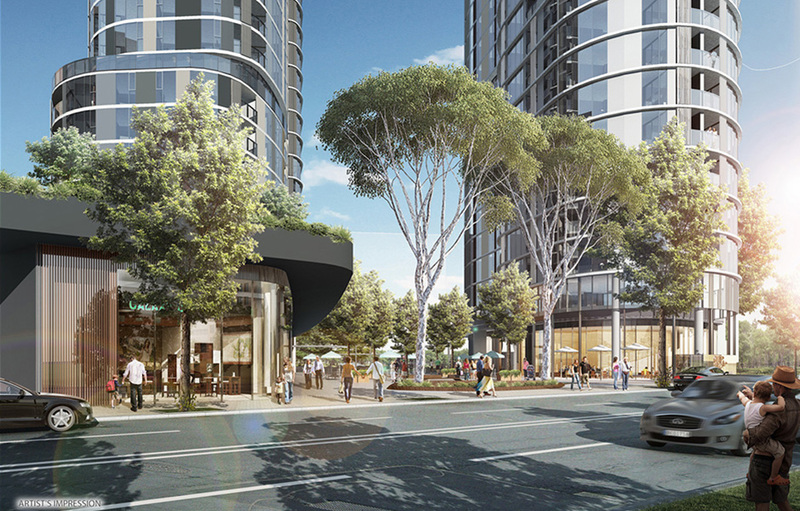 GMU was appointed by Cbus Property Pty Ltd to be the Urban Design Consultant as part of a comprehensive and multidisciplinary team for the Development Application for the subject site at 12-22 Langston Place, Epping. 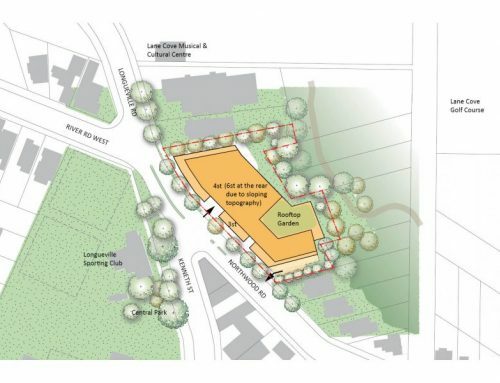 The site is bounded by Langston Place, Pembroke Street, Chamber’s Court and Epping Road. 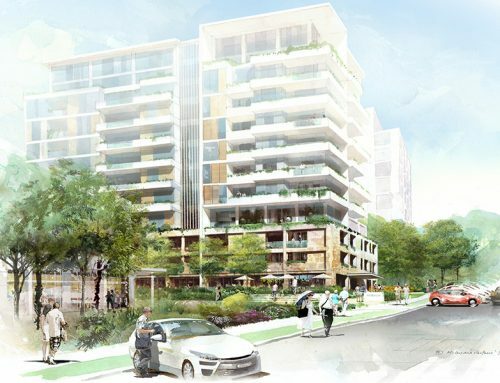 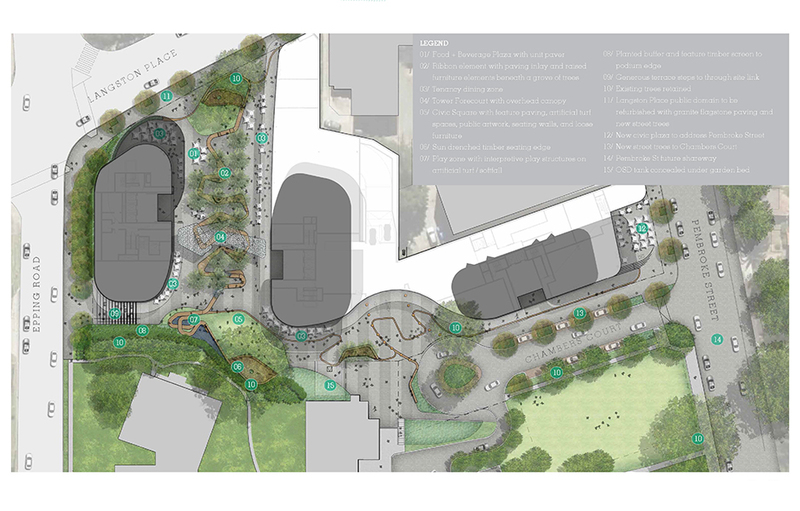 The proposed development contains 3 individual tower buildings comprising residential and retail uses, extensive publicly accessible areas and landscaping improvements. 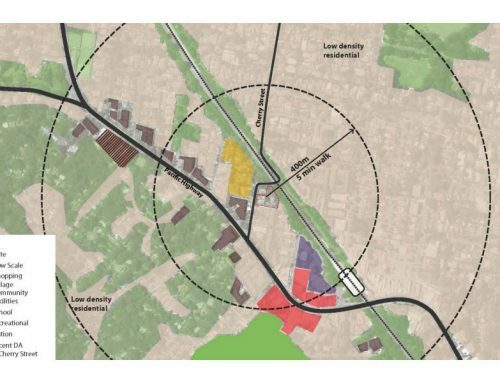 The proposed height strategy was designed to transition in height to the north in response to the lower scale heritage built form across Pembroke Street and to the east towards the strata residential development known as Pembroke Gardens. 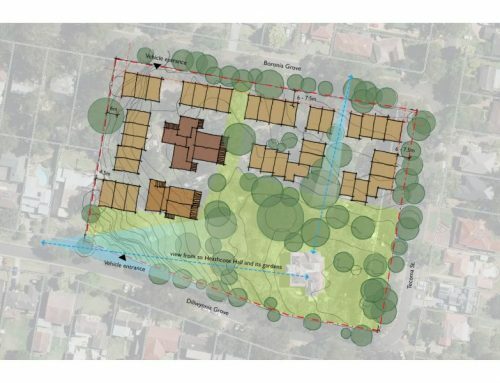 The proposed tower structures were located above a deliberate change and distribution of the heights above those allowed by the controls, under a compliant FSR, led to a better built form outcome than that predicated by the controls. 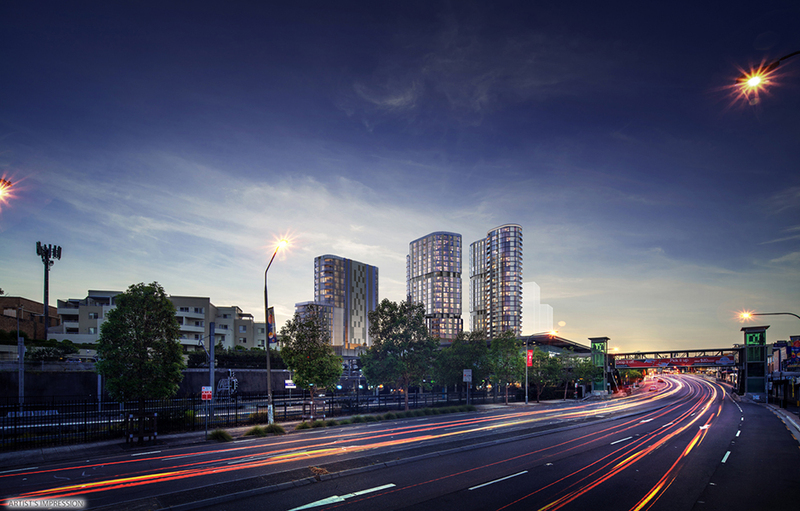 Based on GMU’s urban design input, the proposal challenged the applicable height of 72m to achieve an improved skyline with one of the towers reaching 93m in height. 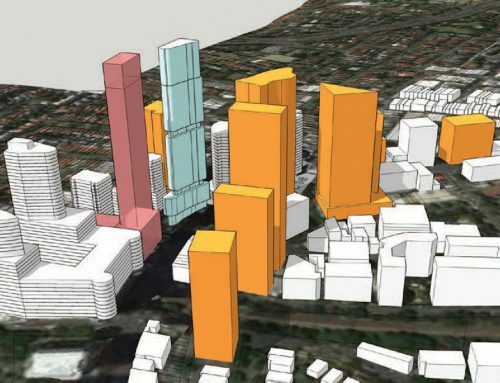 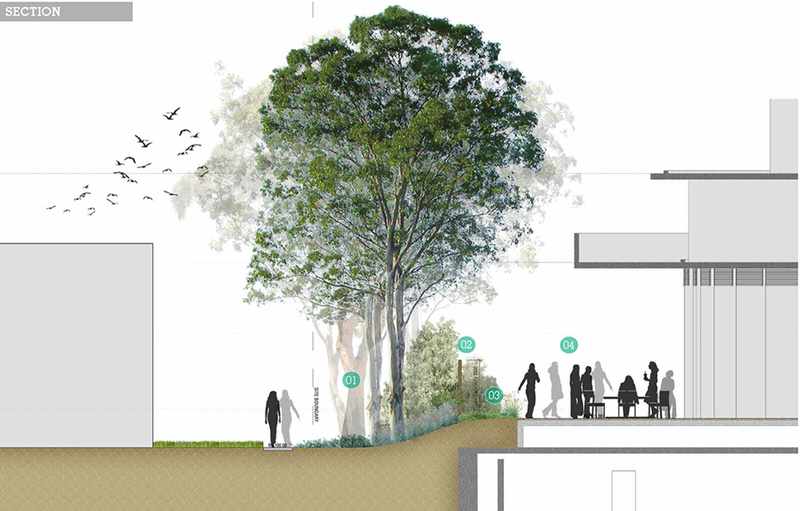 The proposal was approved by the Sydney Central City Planning Panel.